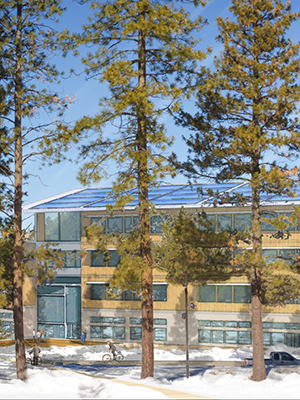 Oregon State University's campus in Bend is a step closer to meeting the needs of its growing student enrollment following the Oregon Legislature on Saturday approving $39 million in state-backed bonds for OSU-Cascades’ second academic building. NOTE: Release updated on March 5, 2018. About OSU-Cascades: Oregon State University’s campus in Bend, Ore., opened in 2016 and features outstanding faculty in degree programs that reflect Central Oregon’s vibrant economy and abundant natural resources. Nearly 20 undergraduate majors, 30 minors and options, and three graduate programs include computer science, energy systems engineering, kinesiology, hospitality management, and tourism, recreation and adventure leadership.